I received a phone call earlier today from a concerned father, who’s son is being treated for his blood cancer at Great Ormond Street Hospital & who now needs a bone marrow transplant, in order to stand the best chance of beating his leukaemia. 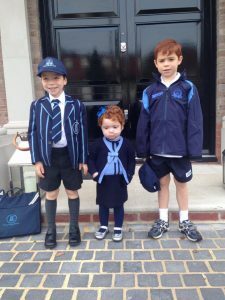 The phone call came out of the blue and it brought back to me the dreadful feeling of anguish and also the despair that consumed our family when Margot was in desperate need of a bone marrow donor. 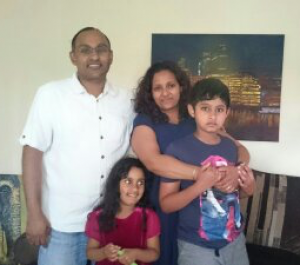 Kenu was diagnosed with AML (Acute Myeloid Leukaemia) in 2014 and has been in remission for two years. 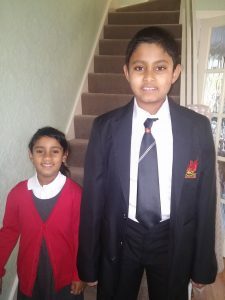 Now, aged 11, he relapsed a month ago. Unusually, this time it’s the ALL (Acute Lymphoblastic Leukaemia) clone which is present, making Kenu’s an extremely rare case. Margot’s heritage was rather mixed, which meant that it wasn’t possible for us to target specific communities with our public appeal, however Kenu’s genealogy is Sri Lankan – so on that basis, it ought to be easier to reach out to and connect directly with the c.200,000 British Sri Lankan’s that can potentially make a life saving difference. If you’re between 16-55 years old and in general good health, you could save a life and it could be Kenu’s. 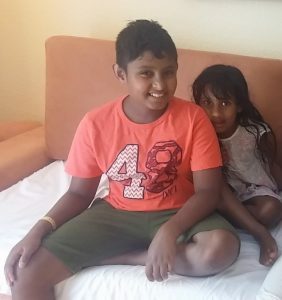 Please tell someone about & SHARE this post, in particular with anyone who is a British Sri Lankan and encourage them to register as a potential bone marrow donor. 1) Newcastle and Hartshill Cricket Club, Clayton Ln, Newcastle,ST5 3BZ on Saturday the 2nd of September. Registration will take place from 5PM – 8PM. 2) Oshwal Centre, Coopers Lane Road, Potters Bar EN6 4DG on Sunday 3rd September. Registration will take place from 10.30AM to 4PM. PLEASE VISIT: https://www.teammargot.com/how-to-register/ to DISCOVER HOW YOU CAN JOIN the register (online) & how YOU can save a life.